It's summertime, and all over the TV it's shark week this, and sharknado that. 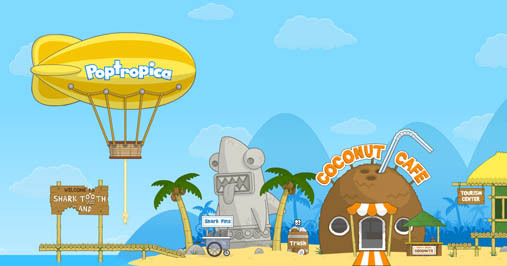 We don't mean to brag or anything, but we at Poptropica have been in the shark game a long time. The second Island we ever released, way back in 2007, was Shark Tooth Island, which featured the massive Booga Shark, a helpful medicine man, and one very special boy whose name we no longer recall. Shark Tooth Island is, of course, free for everyone to play. If you're new to Poptropica or haven't gotten acquainted with some of our deep cuts, why not make this the week you play Shark Tooth Island?